The SJZ Boom Box rolls out to Taylor Street Night Market, presented by Gordon Biersch Brewing Company and Moveable Feast, with headliner Haathi. Every Thursday night from 5-9pm, enjoy street cuisine, live music, makers and breweries coming together in the beautiful Japantown neighborhood. 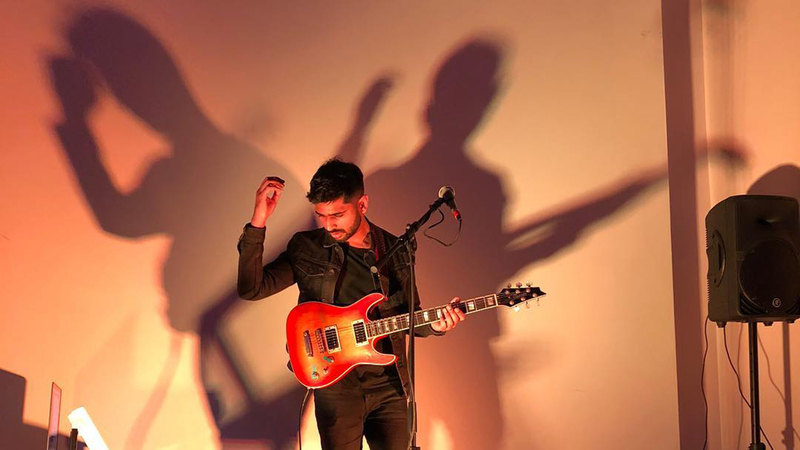 Having played drums for notable Los Angeles bands like James Supercave, Alina Bea and Steady Holiday, Brijesh Pandya steps out from behind the kit to front his new project, Haathi, which released its debut single, “Say Goodnight,” in October, 2016. Previously, Haathi released a cover of the song “FRNDZ” by the Miracals, which was featured on the New Professor Music label’s five-year anniversary compilation album. A rotating lineup of Pandya’s talented comrades from the Los Angeles music scene help to bring Haathi’s music to life onstage.